A few weeks ago the Creative Studio got together and decided to produce a show that would serve as a fundraiser for charity. 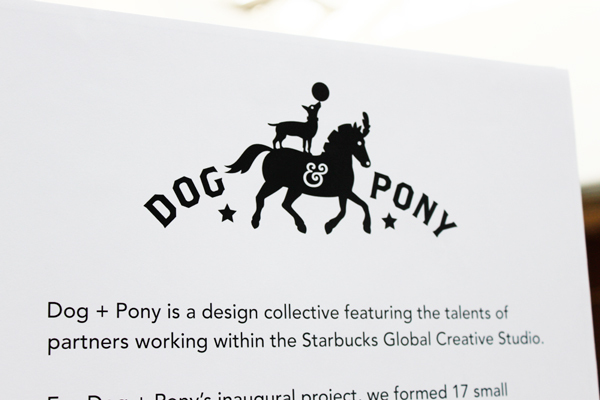 After a few meetings and brainstorming, I came up with the name Dog & Pony. I thought it was a fun way of representing the quirky spirit of the studio. The project consisted of 17 teams, two people per team. Each team designed a poster. The posters were printed by the great folks at Capitol City Press. I gotta thank John Currey and Mike Thompson who helped me and the project by donating the printing. It wouldn’t have been possible to do the project without them. The posters are now for sale at the Starbucks Store located on the 8th floor of the Seattle headquarters. So far this is the only place where you can get the posters. We will look into selling the posters online and will keep you posted. And I will post pics of the rest of the posters, there are some great ones! Here is the logo and some of the initial ideas I had. 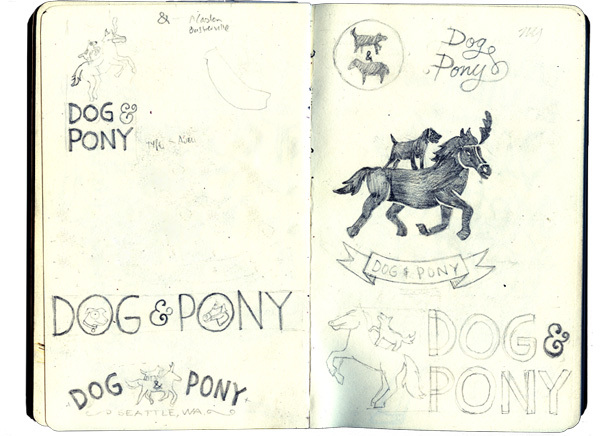 The logo stayed pretty much like my initial sketch, I tried some other options but I wasn’t happy with it. So here is the final version. I like. 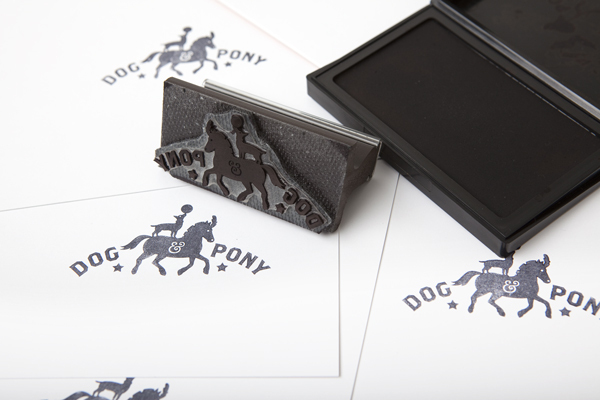 There's nothing better than a rubber stamp of a logo you've made. Some of the ideas I had. The bottom left sketch was the one I developed. A small description of the project. 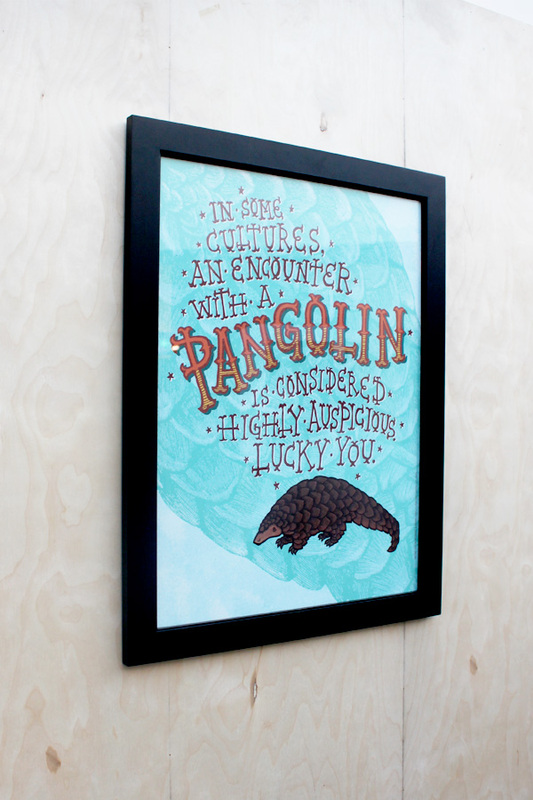 My pangolin poster at the exhibit. This entry was posted on August 12, 2011 at 12:11 am and is filed under art, Illustration, Poster. You can follow any responses to this entry through the RSS 2.0 feed. You can leave a response, or trackback from your own site. 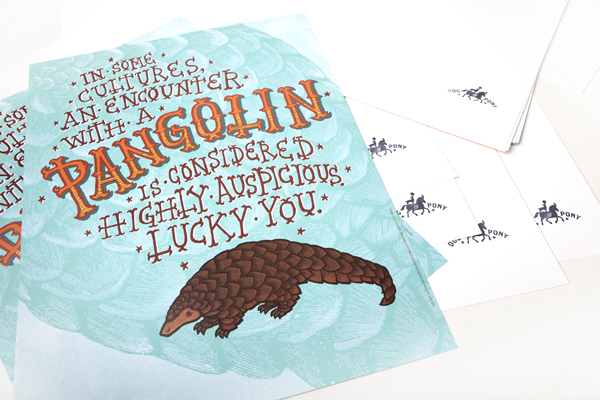 My husband worked at Sbux Corporate and brought 3 posters from Dog + Pony (including The Pangolin) home. I still have them, but can’t find much more information on them. Do you remember how many were printed or how much they sold for? What charity did the proceeds go to?